The Enfield Rotary Memorial Scholarship Foundation, Inc., is offering scholarships to college students from Enfield who will be entering their junior or senior year in 2018, beginning or continuing post-graduate education, or entering their third or later year of post-high school education in an accredited institution. 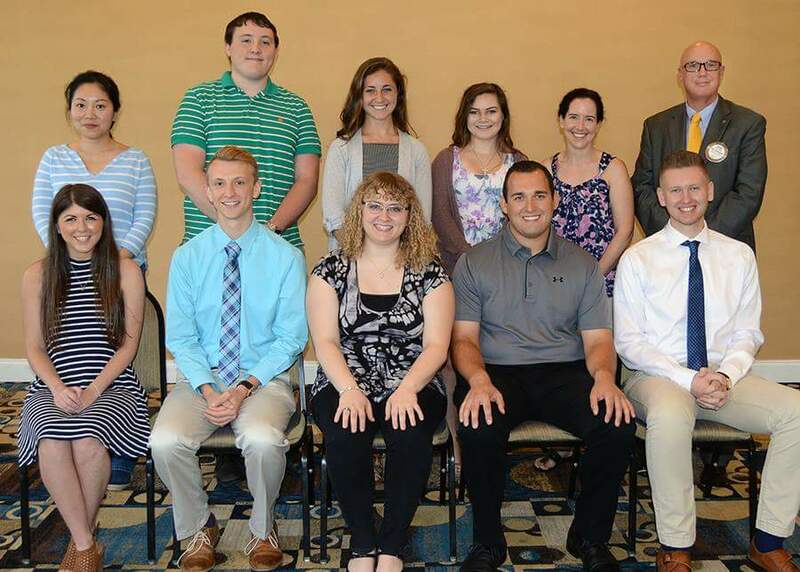 Last year, the Scholarship Foundation awarded $12,750 to twelve students. Here's a photo of last year’s recipients. Please scroll down to last year's posting for the names and schools of last year's Rotary Scholarship winners. There is no age limit for applicants. Selection criteria include factors such as financial need, self-help activities, academic achievement and extra-curricular activities. The 2018 Scholarship Application can be downloaded from the Enfield Rotary Club website at www.enfieldctrotary.org. The link to the main scholarship page is https://www.enfieldctrotary.org/page/scholarships. Application deadline is June 15, 2018. Recipients will be notified in July and the scholarships will be presented at a Rotary luncheon in August.